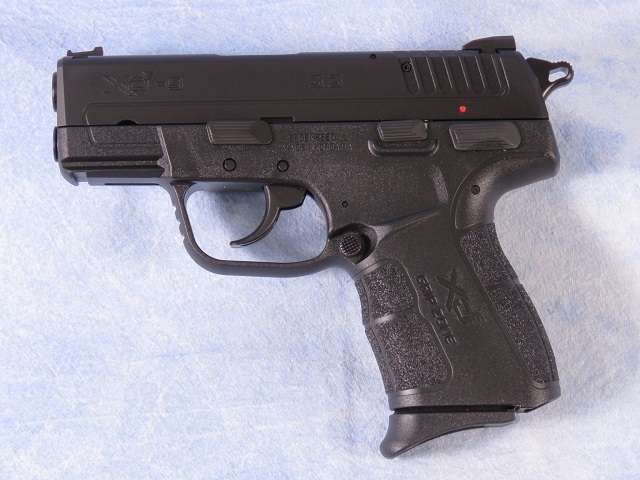 Springfield XD-E semi-auto pistol chambered in 9 MM. This features a 3.3" barrel, Melonite finish, fiber optic sight. low effort slide, GripZone textured, ambidextrous safety, and external hammer. Included are 2 magazines, one 7 round, and one 8 round extended. Barrel Length - 3 1/3"